A day that has been worked towards for 18 months by a small team of persistent and talented volunteers culminated in the launching of Avalon Boomerang Bags on Saturday June 24th, 2016. 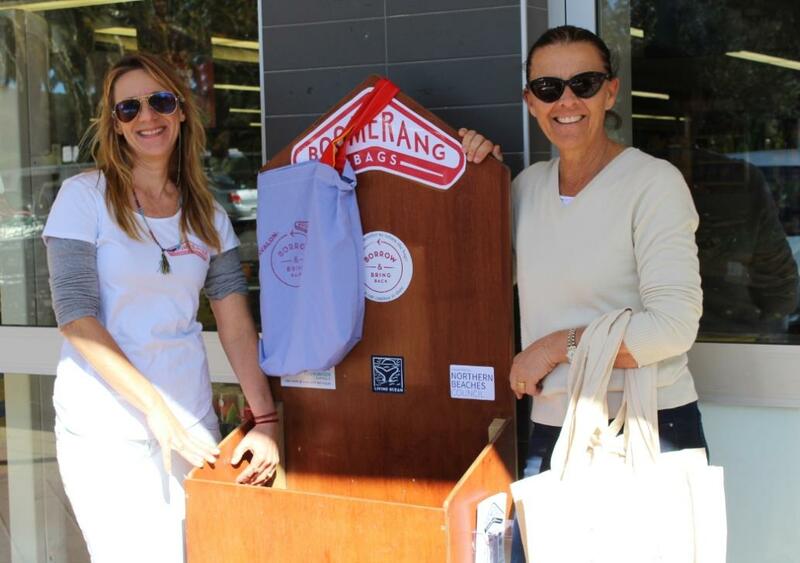 Boomerang Bags is a bag-share initiative involving the installation of a number of ‘Boomerang Bag’ boxes throughout any given business district, shopping centre, street or market. Each box is stocked with re-useable bags for customers to borrow if they have forgotten to bring their own. Unlike the traditional purchase-and-keep approach, Boomerang Bags are free, and local community members are responsible for returning the bags once they’re no longer required. The availability of free re-useable bags reduces the reliance of local businesses to supply bags to all customers, and encourages a mentality of re-use among local communities, thereby reducing the amount of plastic bag material entering our landfills and waterways. “To the Avalon community gathered here today, thank you for your interest and please note, The Bag is Now In Your Court!” Laurel Wood said at the launch of the Avalon Boomerang Bags. How and when did Avalon Boomerang Bags begin? Avalon Boomerang Bags was introduced to us by Surfrider Foundation and Living Ocean, they both helped organise with the support of what is now the Northern Beaches Council the Recreational room at Avalon Community Centre which we work from each Tuesday. This is the Hub of what is a Community initiative to help free Avalon of single use plastic bags and to generally spread the word of the overuse of plastic. Why has this been started – what are the ultimate goals? We live in one of the most beautiful and most privileged areas in the world, plastic pollution has become a major risk factor to our environment and wild life and yet one of the easiest ways to start to tackle this problem is by saying No to using plastic Bags. 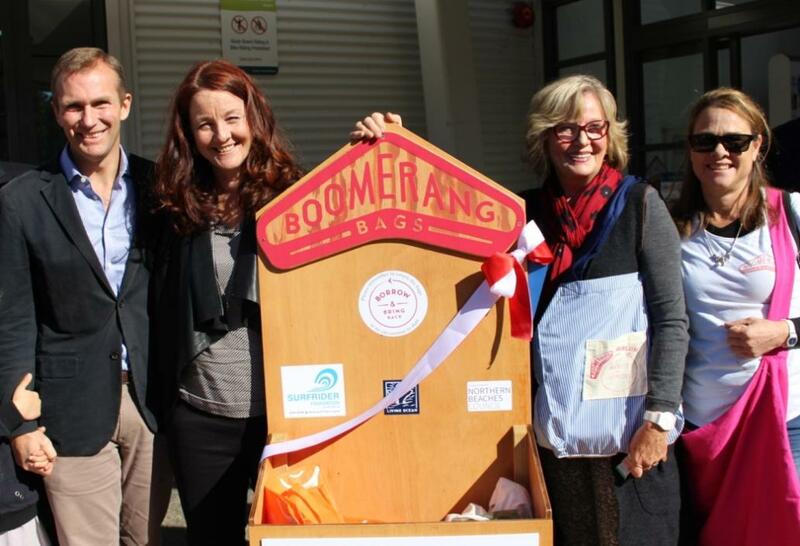 Avalon would like to set an example to other communities along the Northern Beaches to take up the Boomerang Bag Challenge. How can people help or get involved? We run fun workshops each Tuesday from 11.30pm till 5pm from Room 1 at the Avalon Community Centre. You don't have to be able to sew as there are plenty of non sewing jobs such as stamping the labels, cutting out the fabric, helping out on stalls. Or you can sew from home, call in and we will give you a pattern and fabric. Also you can go onto www.Boomerangbags.org for information on how to help, or contact Kirsty on kirstygyles@bigpond.com or Laurel on laurelwood1@hotmail.com for more information. Avalon Boomerang Bags has a facebook page where you can keep up to date with what's coming up. We have had funding from generous people who are concerned about our environment, we run stalls where we sell Bought to Support bags for $10 each, Boomerang Bag mugs and other items which all can be purchased on a Tuesday as well. We run raffles which our prizes are from the Shop owners in Avalon. At the moment we are running a raffle and donations are from Yoda Restaurant, Street Food South East Asia, Parrilla Hot Coal Kitchen, Avalon Floral Art, and Avalon Health Shop. What can people do to support Avalon Boomerang Bags? They can donate their time on a Tuesday, donations of money, buy a ticket for latest raffle, purchase some of our products, Businesses that already have bags can donate these to us we tag them, and when they go into our boxes it becomes an advertising tool for them and shows support for this initiative and the environment, also any bags that have been accumulating in your car, cupboards just drop them in the boxes for us to tag and others to use. Please remember to return your Boomerang Bags to one of our boxes around Avalon, don't horde them in your cupboards or in the boot of the car, they are there for all to share in our community. Use them and be proud of this initiative to help free Avalon and our surrounding areas of single use plastic bags. How many bags have Avalon Boomerang Bags made now ? We have sewn and accumulated 5,000 bags, this equates to saving 3 Million plastic bags from entering our landfill. Each Boomerang Bag that is used saves 600 plastic bags per year it is a numbers game, each person that becomes more mindful of the overuse of plastic helps our environment and encourages other as well. This is not to say that plastic doesn't have its place, life saving equipment in Hospitals and the cars we drive all contribute to our society, but as we all know plastic bags don't, they take from 500 years to a 1000 years to bio-degrade and also the so called bio-degradable bags are no better as they only break down into the size of a twenty cent piece and then take the same time as other plastic bags to break down. If we all play our part and become more mindful of this problem we will leave behind a planet that our children and grandchildren can thank us for and not one that our legacy will be remembered by, 'Hell why was our past generation so selfish? ', when a bit of consideration to the future could have avoided the mess where now living in. Do you have plans for expansions to other areas or can you provide training if people in other areas are interested in doing this in their suburbs too? Manly have now started their own BBAGS initiative and you will be hearing more of them in the near future. 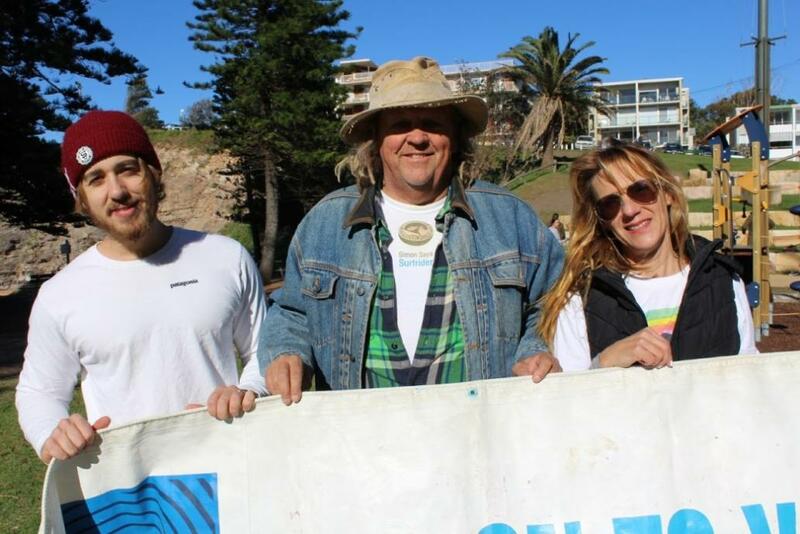 When we first started this project on the 19th January 2015 we were the 4th to follow from this initiative which started in Burleigh Heads they now have 38 Boomerang Bags communities underway with 33 thousand bags made and replacing 15 million plastic bags and saving and estimated 7.5 tones of waste being diverted from landfill. What is Avalon Boomerang Bags motto?